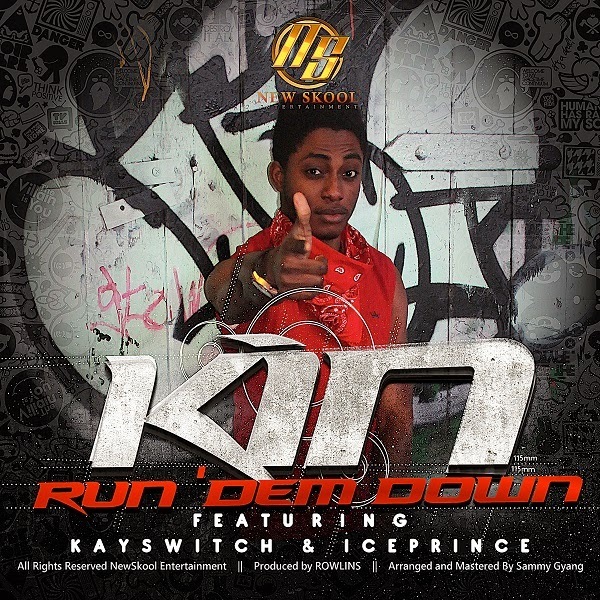 Fast rising music sensation KIN premieres a new monster single produced by Rowlins and featuring Chocolate City ace rapper Ice Prince and DB Records' Kay Switch. The afro-ragga cut arranged and mastered by Sammy Gyang is titled "Run Dem Down". KIN displays is musical versatility on the street-hop anthem backed by lush piano organs, distinct synth and rich drums as he emotively sings; "Anybody say they wanna bring me down...Oluwa go run dem down", on the catchy chorus. KIN, whose previous singles includes the sleeper hit "Ada Owerri" and the viral "Selecta" recently travelled to Lagos from London to shoot the video for the song as well as make few media appearances. Lovers of good music would say "Run Dem Down" is a collector's item. Listen, download, share and enjoy!